Canyon Park is a residential and commercial area north of Bothell. Its location on Interstate 405 makes it a popular choice for executives and professionals who commute. Canyon Park offers newer single family homes for sale in planned communities, many of which are brand new construction. Neighbors include Alderwood Manor and North Creek. Businesses range from light industrial to technology companies and smaller businesses like restaurants, dental offices, and coffee shops. 3 Beds | 2 Baths | 1308 sq. Ft.
3 Beds | 2.5 Baths | 3033 sq. Ft.
5 Beds | 2.5 Baths | 2158 sq. Ft.
3 Beds | 2.5 Baths | 2348 sq. Ft.
5 Beds | 3.25 Baths | 3444 sq. Ft.
3 Beds | 2.75 Baths | 1480 sq. Ft.
5 Beds | 3.5 Baths | 4056 sq. Ft.
5 Beds | 3 Baths | 2749 sq. Ft.
4 Beds | 2.5 Baths | 3148 sq. Ft.
5 Beds | 3 Baths | 2699 sq. Ft.
5 Beds | 3 Baths | 2844 sq. Ft.
5 Beds | 3.5 Baths | 3301 sq. Ft.
5 Beds | 2.75 Baths | 3517 sq. Ft.
4 Beds | 2.5 Baths | 3194 sq. Ft.
5 Beds | 2.5 Baths | 3359 sq. Ft.
Blue Summit Realty has the most accurate and up to date Canyon Park real estate listings on the web. Currently there are 47 homes for sale, 4 condos for sale, and 5 vacant land properties in Canyon Park. Of the 61 total Canyon Park residential listings for sale 0 are bank owned, 0 are short sales, 0 are new construction, and 0 are townhomes. The price ranges from $450,000 to $0 with a median list price of $903,742 and median sold price of $703,651. Make sure to refine your Canyon Park real estate search by property type, price, square footage, bedrooms, bathrooms and more with the search tool above or view the Canyon Park listings on our interactive map. 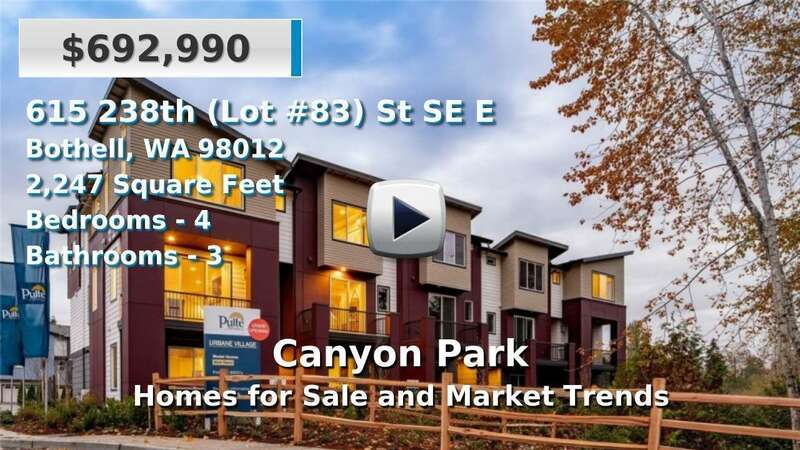 Our Canyon Park real estate listings were updated 5 minutes ago.